A little blast from the past – there is something really special about these old pictures used on Easter greeting cards. 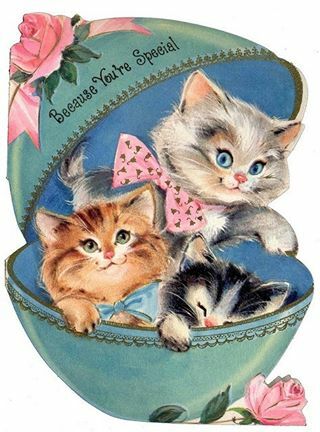 This entry was posted in Crafts ~ DIY ~ Projects, ~Easter and tagged because, blue, bow, cat, Cats, easter, egg, greeting, greetings, happy, old, Rose, special, teal, you're. Bookmark the permalink.